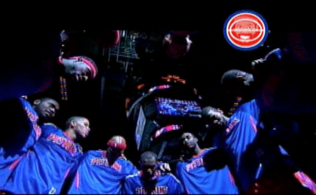 Goodbye 2010-2011 Detroit Pistons season you sure have been memorable…and not in a good way. The 29-52 Detroit Pistons play their final game of the season Wednesday night against the surprising good, playoff bound 41-40 Philadelphia 76rs. With a win the Sixers can’t change their playoff seeding , but they can secure their first winning season since 2004-05. What do the Pistons have to look forward to next season? Hopefully their Jobs if their lucky. The good: It’s over, time to wash things clean. We may need a vat of Clorox, but still. The bad:Muhammad Ali Charlie V won’t be playing because of his little incident. Is that bad though? The unknown: Lottery balls and where they fall. Tip off is at 8:00 pm and will be broadcast on Fox Sports Pkus. 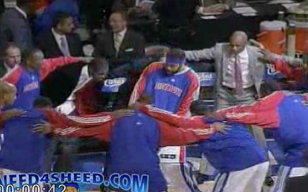 If you can’t catch the game on TV, follow it live over at NBA.com or on the radio over at WWJ 950 AM. 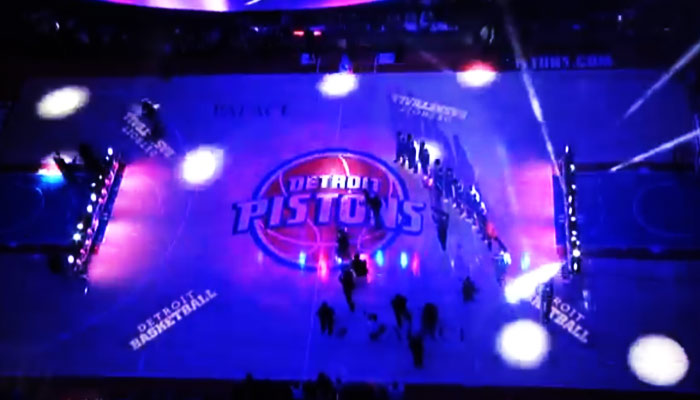 Tom Gores Dances and Charlie V Prances The 2010-2011 Detroit Pistons Season – So yeah that happened. 21 Responses to "The Pistons vs. The Sixers"
The Detroit franchise has been in and out of flux since Davidson’s passing. The team has suffered through a horrific year on the court and an ownership-influenced holding pattern in the front office, and with a new (and rich) local dude running the team, the hope was that the Pistons were about to put a winning team together again. Then Tuesday’ Forbes report came out, which smartly noted that the press release sent out after the transfer of ownership didn’t exactly mention that local-boy-gone-rich as the new owner of the Pistons. Rather, it’s his investment firm (Platinum Equity) that is taking over. That’s right: The Detroit Pistons are about to become the first major professional sports franchise in North America to be owned by a private equity fund. Not by flesh-and-blood individuals who made their fortunes in private equity (like the Boston Celtics or Golden State Warriors), but by a $2.75 billion financial vehicle. What that means is that this the Pistons are about to become an investment, not a labor of love. Something bought for the purpose of later being sold, not to keep in the Michigan-loving family for generations. The NBA is obviously aware of this reality — my understanding is that Platinum has fully explained to league officials how PE funds operate — and apparently is okay with it. Great. So the Pistons are in yet another holding pattern, likely to be stripped down, or at the very best (as Forbes puts it) a “loss leader” to point the IRS at while Platinum Equity makes money off of the other interests (namely, the Palace of Auburn Hills) included in the deal. Of course, the Pistons could also make money by spending money wisely on the right players and coaches, but that’s never a guarantee, even once all the right moves are clicked off, in an NBA world with injuries and out-and-out bad luck. And “never a guarantee” never really flies in the world of private equity funds. It appears as if the waiting game isn’t over, Detroit. You’ve got yet another owner, as was the case following Bill Davidson’s passing, that regarded the Pistons as an asset, rather than a potential champion to pour over. So what’s wrong with you? Would you be happier if Karen didn’t take the deal? This was an article on Yahoo written by known-Pistons-hater Kelly Dwyer. I wouldn’t pay much attention to it. You’d be surprised how many teams are like this. Owned by companies but ran by INDIVIDUALS. All to avoid certain taxes and liabilities Pistonspowered.com had an article where a business student broke it down. This is absolutely nothing to worry about. Tom gores or The Firm, will turn the franchise around for the better because it’s in their best interests to do so. even if he’s not a basketball fan, which he may be. The pistons generate more than double the revenue of all the other events hosted by palace sports entertainment. Nothing will happen til June, but it will be exciting. Stuckey is a baaaaaad man. Can anyone say, “player of the week!” Give us something good to go out on. Yes Stuckey likes the playing he’s given with Tmac and Bynum out. I think 30 wins is a good improvement from last year considering all the dramas and Jerebko’s injury. In the words of Joe Namath: I want to kiss you. I could care less about the team struggling; we’re looking to next season and I just want to kiss you. That means nothing..we have no idea how anything is going to go let alone Kuesters job. Don’t read too much into it. stuckey just showed up why we need him. if we are signing smaller players we need to run a bit more. i like the way he plays on both ends of the floor. time for a new coach and in my opinion time to sign and trade tay. i love the guy but we are stack at his position and need a big. ps kelly drawyer has no idea what he is talking about. i read a lot of his articles and he would always talk trash about the pistions and say the cavs were going to win it all the last 3 years. he talks trash about the spurs and the lakers as well. i wouldnt put any thought into what he inputs. i think with new ownership moves will be made and playoffs will happen next year. first things first hope for a high pick in the lottery and jonas staying healthy. agree. playoffs next year. jerebko should be fine, achilles tendons arent like knees which once they go are usually never the same. he should be 100% healed by now, even if we didnt play him. monroe and jj have a bit of experience led by stuck and rip. if big ben is going to retire we are most likely starting daye. we should start running a bit more and get a whole lot better at d. i like bynum and bg playing together but they are to machines. bynum can dive to the bucket and kick it out to bg for open shots so thats good. Last game of the season and no recap? Final thoughts? I’m waiting to see if Boney can still put a negative spin on Stuckey’s last five games.